See Waikiki while visiting Honolulu. Visiting Honolulu on a Tight Schedule? Visiting Honolulu is always a great thing to do, regardless of the time of year. But what if you only have a few days to visit Hawaii’s capital city? Well fortunately, Honolulu and the entire island of Oahu is not that large a place. So given 2 or 3 days, you can probably see a lot. All you need is a rental car, a good an updated GPS and some advanced research. 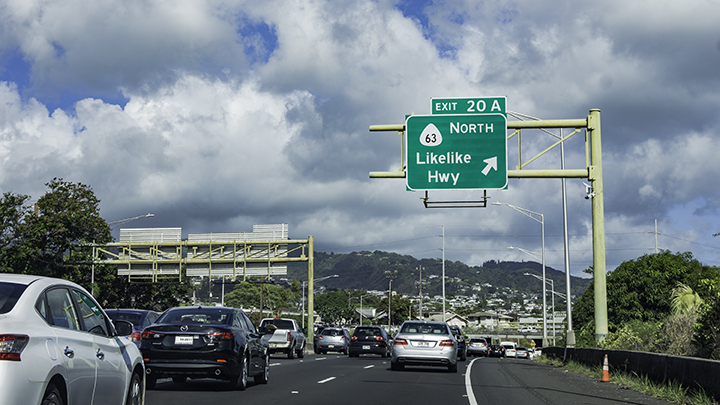 Just be aware though, that Honolulu, believe it or not, has some of the worst traffic in the entire US. It’s amazing; but it’s true. Still, the quickest way to see Honolulu is by renting a car. And when you do, be sure you travel against the grain of traffic during the morning and afternoon rush hours. Also, by renting a car, you can set you’re own schedule and come and go on your own terms. So what should you be seeing, especially if you’ve never been there before? 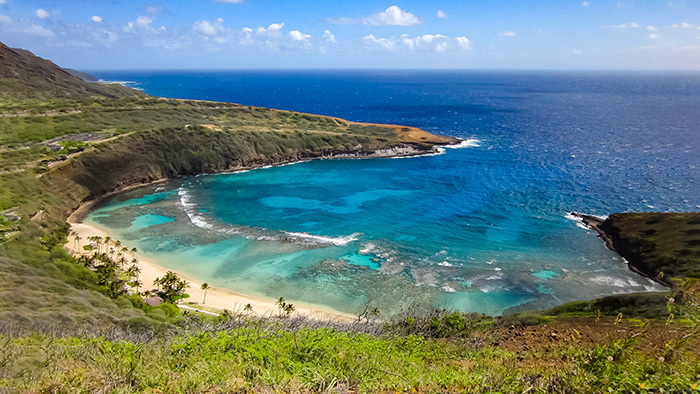 You should definitely check out Hanauma Bay, an marine wildlife preserve in east Honolulu. Here, you can swim in crystal clear waters and see abundant and undisturbed sea life. 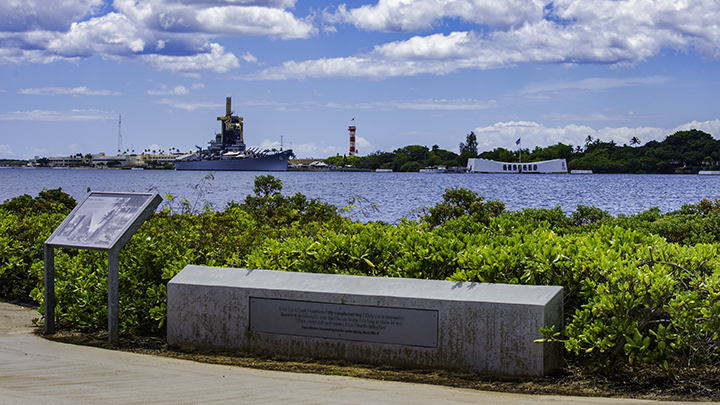 You should also check out the Arizona Memorial at Pearl Harbor. Here, you can see the memorial of the battleship Arizona as well as tour the historic battleship Missouri. Head out to Oahu’s North Shore to check out its famous surf spots as well as visit the Polynesian Cultural Center in Laie. 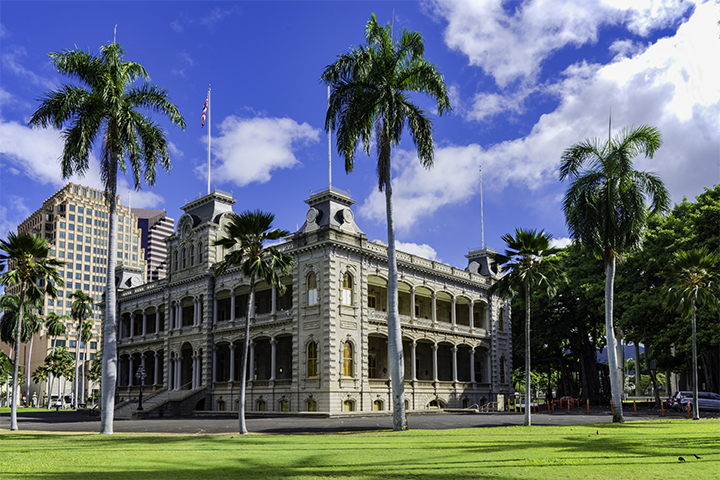 Closer to town, you should definitely visit Iolani Palace, the only royal palace in the United States. 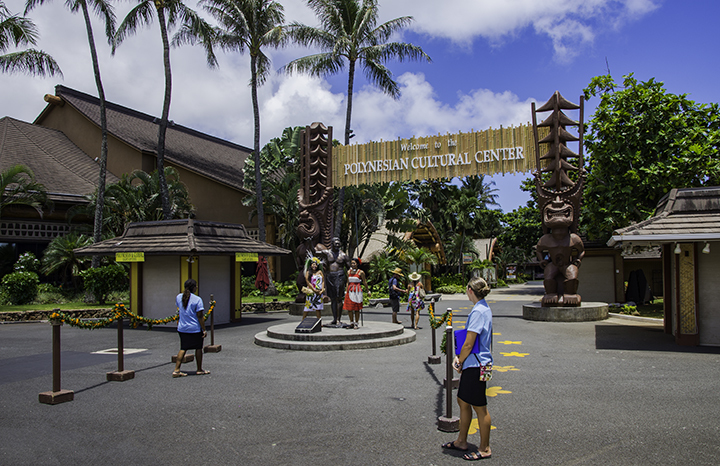 If you’re interested in Hawaiian history, you should definitely stop by the Bishop Museum. 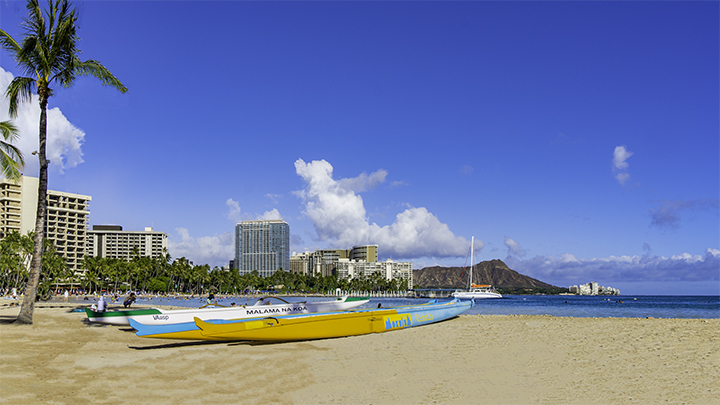 In Waikiki, you can soak up the sun and relax on its white sand beaches. You can also visit the Waikiki Aquarium nearby to see the type of sea life that you are going to see at Hanauma Bay. For great views of the city, head out to the National Cemetery of the Pacific, which most people call Punchbowl. Iolani Palace in downtown Honolulu. And if you’re looking for places to stay in Honolulu as well as deals on flights to Hawaii and rental cars, check out our website for some of the best all inclusive vacations packages to the Aloha State.